Marin Headlands | Trace B. 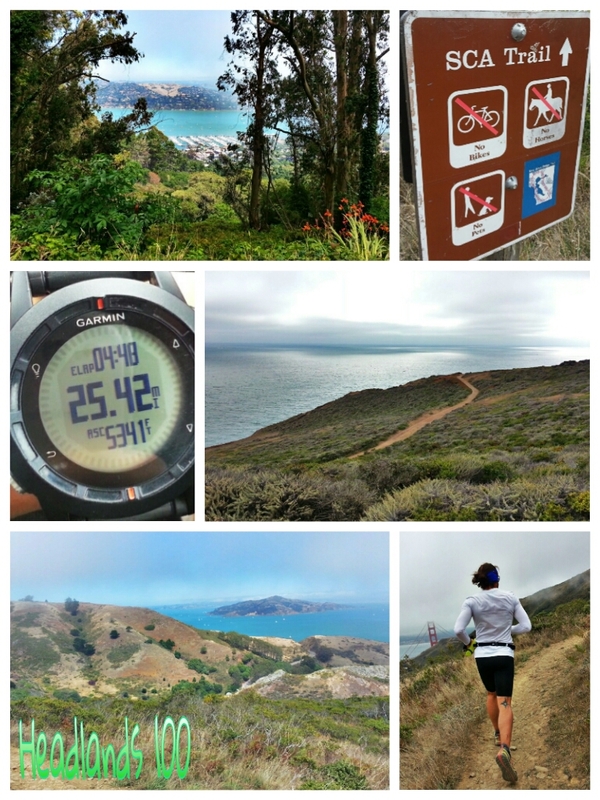 This weekend’s training schedule ended with a gorgeous 25 mile trail run on some my favorite trails in the Marin Headlands. I needed the mileage to cap off my running week while D needed to log more miles on the Headlands 100 course before race this September. The race course includes four 25-mile loops, every other loop ran in opposite directions (washing machine style) running under the Golden Gate to the SCA trail and then through Rodeo Beach, Tennessee Valley and Muir Beach. Headlands has such a beautiful course with views of the beaches and the city (SF), not mention tons of elevation gain — a little more than 5,000ft per loop! I originally considered running the marathon since Pacific Coast Trail Runs offers this distance along with a 50 and 100-miler option, allowing me to pace D during his last loop of the race, but I mistakenly committed to running Mt. Pinos 50K on the same day. I feel bad about that but I am now excited for my own adventure and still fortunate to go with him when I can to train on that course.